The architecture firm designing the new George Lucas Museum's first-released renderings of the building in 2014. 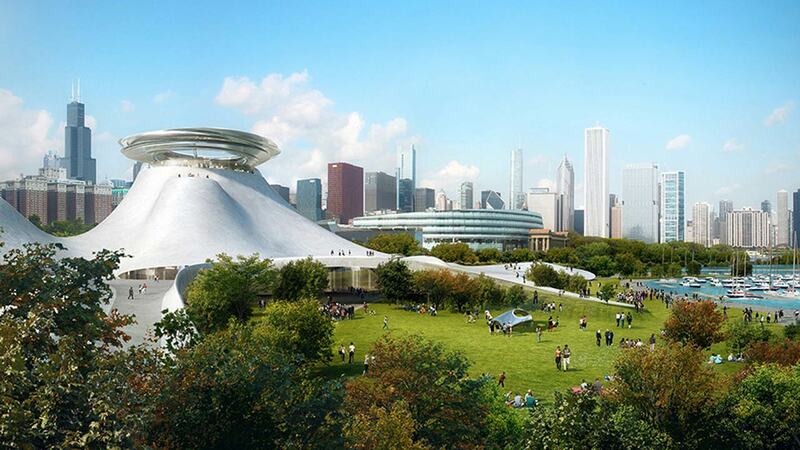 CHICAGO (WLS) -- Chicago is getting more competition for the site of the George Lucas Museum. Officials in Oakland, Calif., have reportedly written to Lucas saying they would welcome the new museum. A local Chicago group called Friends of the Parks filed a lawsuit to stop the Lucas Museum from being built at the lakefront. A federal judge ordered the city not to alter the proposed museum site while the lawsuit is pending. Lucas is considering Los Angeles if Chicago's plan falls through.